Attorney Benjamin R. Couture is a founding partner of Weinstein Couture PLLC, based in Seattle, Washington. He has devoted his legal career to tirelessly fighting for the rights of individuals and families affected by mesothelioma, dangerous drugs and defective medical devices. 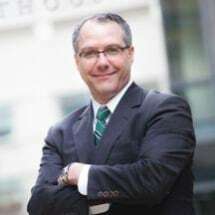 After graduating with honors from Southern Methodist University's Dedman School of Law, Ben immediately joined a leading national law firm based in Dallas, Texas, where he handled a wide variety of cases involving injuries caused by pharmaceuticals and asbestos products, including many mesothelioma cases. Thanks to his tenacity and skill, he rose quickly through the ranks and assumed responsibility for the firm's entire docket of mesothelioma cases in the Pacific Northwest. Ben eventually decided to relocate to the Pacific Northwest, where he joined a prominent Seattle-based law firm that specialized in asbestos-related cases. His resourcefulness, fearlessness and passion were once again quickly recognized, and he was promptly elected to membership in the firm. Eager for new challenges, Ben co-founded Weinstein Couture PLLC in Seattle with longtime colleague Brian Weinstein. The firm's mission is to maintain a national practice devoted to providing the highest level of legal representation to individuals and families affected by asbestos and mesothelioma, dangerous drugs and defective medical devices. Weinstein Couture PLLC also serves as trial counsel to other law firms in serious personal injury and wrongful death cases. Over the years, Ben's efforts and advocacy have resulted in many millions of dollars in recoveries for his clients. While in law school, Ben was on the editorial board of the SMU Law Review. He received the highest grade in his Trial Advocacy class, and was nominated to membership on the SMU Board of Advocates. While practicing in Texas, Ben was honored with election into the Leadership Class of the Dallas Association of Young Lawyers. In Washington, he was recently honored as a Rising Star by Washington Law & Politics magazine. He is licensed to practice law in Washington and Idaho. Ben recently testified before the Idaho House Judiciary, Rules & Administration Committee at the State Capitol in Boise in opposition to proposed bill HB 221, which would have created significant hurdles and delays for terminally ill Mesothelioma victims trying to get their day in court. Ben advocated on behalf of these victims and explained the direct impact this bill would have on veterans and working people in Idaho who have been diagnosed with Mesothelioma. Due to Ben’s efforts and other proponents of the bill, the Committee killed the bill after a four-hour long hearing. This is a significant victory for the people of Idaho who have been exposed to asbestos and deserve to get their day in court. Away from the office, Ben enjoys traveling, hiking with his golden retriever, following his favorite sports teams from his home state of Indiana, and fly-fishing the waters of Oregon, Idaho, Washington and Alaska. "The ink was barely dry on my bar card when I began facing teams of seasoned lawyers who were all trying to derail my client's case. I had no choice but to succeed. Learning how to persevere in situations like that accelerated my development as a lawyer and gave me the confidence to fight hard for my clients. I continue to guide each of them personally through the litigation process just as I would one of my own family members. I believe in thoughtful, aggressive and creative advocacy, but most of all, I believe in results."